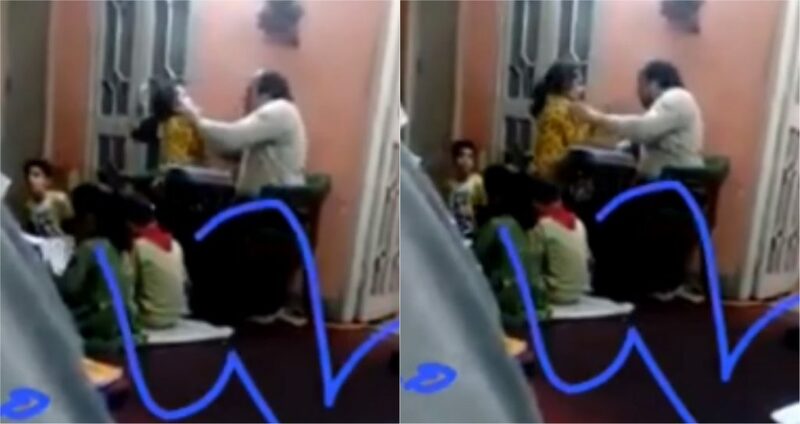 Viral Video Of Teacher Smacking A Little Girl With ‘Steel Scale’ Proves Why Tuition Centres Are Bad For Children! The environment in some Pakistani schools, particularly, government schools, is uncivilized at best and tyrannical at worst. Every class has a few students who are slightly slow at learning or grasping certain subjects or concepts. In many classes, kids are mistreated by each and every teacher along with all the students in the class only because they are unable to learn concepts quickly and could barely pass the exams. When a child makes mistakes, The first thing the teacher needs to do is to remind the child that what he/ she did is wrong and if he/she did the mistake again, maybe the teacher can talk to the parents so they can work together to solve the problem. 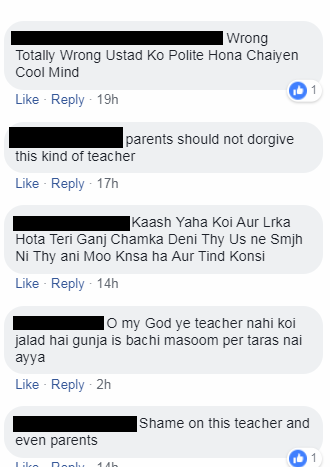 In Pakistan, there’s no concept of right and wrong – teachers do absolutely everything that pleases them just to prove their point and that leaves a scar on the child for a very long time. Kids begin to avoid school and maybe even come home crying. Recently, we stumbled upon a video where a little girl was being mistreated and yelled at. 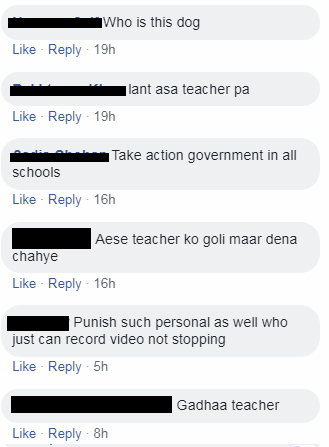 We don’t exactly know where the video is from but it’s no surprise that many of your own children must have come across teachers like that in our own country. This is how some people reacted to the clip, have a look! Others stated that some legal actions should be taken against him! It’s just sad how schools and parents have their shut their eyes when comes to raising kids and teaching them. According to research, the most common form of physical punishment handed out to children is to be hit on the palms of the hand with a stick or ruler. Another form of mistreating a child is slapping on the face or head. Moreover, children are forced to stand or sit in an uncomfortable position, to be struck with a stick or ruler on body parts other than the hand, and to be kicked. When the teacher is in a bad mood they just take it out on the students. When kids don’t do their homework and when they don’t learn or memorize their lesson this is how they’re treated. It’s about time parents and schools sit and come up with a solution to put a stop on this hideous crime! For us, it really is a crime. Children shouldn’t be treated like animals and teachers need to be damn responsible for their actions!